2 History. . . . . . . . . . . . . . . . . . . . 3 Uniquely Salina. . . . . . . . . . . . . 4-5 Arts & Culture. . . . . . . . . . . . . . 6-8	Profile of Salina. . . . . . . . . . . . . 9-10	Dining. . . . . . . . . . . . . . . . . . . . 12-14	Churches. . . . . . . . . . . . . . . . . . 15 Sports, Recreation & Parks . . 16-19 Shopping. . . . . . . . . . . . . . . . . . 20 Meet & Compete!. . . . . . . . . . . 21 City Map . . . . . . . . . . . . . . . . . . 22-25 Accommodations. . . . . . . . . . . 26-27 Agri-Tourism. . . . . . . . . . . . . . . 28 Neighbors. . . . . . . . . . . . . . . . . 29 Military Town. . . . . . . . . . . . . . . 30	Transportation & More Info . . . 31	Advertisers Index . . . . . . . . . . . 32-33 Ads . . . . . . . . . . . . . . . . . . . . . . 34-48 & Cover Welcome. . . . . . . . . . . . . . . . . .
Events. . . . . . . . . . . . . . . . . . . .
1-135 To help navigate you, Oklahoma City the City of Salina has OK created a wayfinding signage program especially for visitors. The design, by project artists Ann Arkebauer and Chris Wilson, captures the essence of Salina, from Malls strong agricultural roots to a more Central High whimsical cultural vibe. Malls School Watch for these Cent Hospital r a l H signs â&#x20AC;&#x201C; theyâ&#x20AC;&#x2122;ll Scho ol igh Airport lead you to Hosp ital points of interest Airpo rt throughout the community. Salina sprang from the fertile soil near the Smoky Hill, Saline and Solomon Rivers. In the mid 1860s, our legacy as a regional trade hub first began between Native Americans and immigrants from the east. Wholesale trade gave H.D. Lee (Lee Jeans) a start to his success. With the railroad came industrial growth, in industries from milling to manufacturing. That regional trade aspect continues today. The population surged in the 1950s when the Smoky Hill Air Force Base (Schilling AFB) re-opened. Although the base closed in 1965, Salina prospered with the development of more industry and easy access to Interstates 70 and 135. The city thrives today thanks to a diverse economy and central location in Kansas. progress of the project at salina-ks.gov/downtown. Centered at Santa Fe & Iron Avenues, 785-825-0535, salinadowntown.com The world renowned Cozy Inn has been serving up yummy slider burgers downtown since 1922! 108 N. 7th, 785-825-2699, cozyburger.com Our love of the arts culminates each June with the Smoky Hill River Festival in Oakdale Park. 785-309-5770, riverfestival.com. SculptureTour Salina downtown presents a collection of sculptures which changes each May. Vote for your favorite! 785-827-9301, sculpturetoursalina.net Enjoy blues greats in concert two nights each October at Blues Masters at the Crossroads. 785-825-8609, blueheavenstudios.com Salina can be hot in July, but ‘kustomized’ automobiles make Salina “the koolest hot-rodding playground” during the Kustom Kemps of America (KKOA) Leadsled Spectacular Car Show in Oakdale Park the fourth weekend in July every year. 1,800+ cars come from throughout the USA and beyond to enjoy a 3-day show in Oakdale Park. 417-847-2940, KustomKempsofAmerica. com. Locals also enjoy antique custom cars throughout the year at intimate car shows, club cruises, and custom auto body shops. Salina is a progressive community with an excellent standard of living. At the junction of two major interstates, the community has built upon its agricultural roots diversifying into the global economy. Salina manufacturing facilities produce more frozen pizzas, lead acid auto batteries and fluorescent lighting than anywhere else in the world. We produce equipment to pave roads and buses to drive on them. We design and build machinery for the agriculture industry, and also research and produce methods to process our grain production. We produce aviation components for planes that can land here, and we train pilots, engineers and military personnel who fly and maintain them. Salina is cited as one of the best places to raise kids in the country. Our cost of living is competitive, and our ability to attract retail trade from outside the community is the third highest in Kansas. We are a great place to live and work, which makes this a great place to visit! Salina Area Chamber of Commerce, 120 W. Ash, 785-827-9301, salinakansas.org Education is a top priority in Salina, with both public and private institutions from elementary through post-secondary levels. There exists the unique opportunity to go from K-12 to earning an MBA or MD, all in this community of 50,000 people. Salina Area Technical College is ranked among the top 10% of technical colleges in America. St. John’s Military School has the highest parental satisfaction rating of private schools in Kansas. Salina Regional Health Center and the Salina Regional Medical Group are dedicated to the healthcare needs of our region. We’ve invested in the finest medical professionals and in the latest treatments and technologies to keep you and your family healthy today and in the future. More than 1,000 acres of City park property are ready for you to explore! Here, we’ve highlighted what many consider as Salina’s primary parks and sports facilities. The mixture of indoor and outdoor space makes Salina an ideal location for recreation activities and sports events. 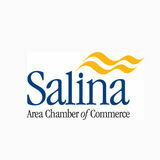 For information about hosting a sporting event in Salina, contact the Visit Salina office 785-827-9301. For more information about our 30 parks sites, or to reserve a neighborhood center or picnic shelter, contact Salina Parks & Recreation, 785-309-5765, Monday-Friday 8am-5pm, excluding holidays. Looking for the ultimate venue? • Lakewood Park, 1323 E. Iron – Lakewood Discovery Center, Fishing, Canoeing, Disc Golf, Archery Range, Nature Trails, Picnic Areas, Playground • Oakdale Park, 730 Oakdale Dr. – Eric Stein Stage, Smoky Hill River Festival (June), KKOA Leadsled Car Show (July), Botanical Garden, 8 Tennis Courts, Fishing, Picnic Shelters, Playground • Oxbow Park, 901 Faith Dr. – Biking/Jogging Path, Soccer Field, Picnic Shelters, Sledding, Playground • Salina Soccer Complex, 2100 E. Magnolia – 5 Lighted Soccer Fields, Biking/Jogging Path, Fishing, Nature Trail, Picnic Shelter, Playground • Sunset Park, 700 W. Sunset Dr. – Saline County War Memorial, Basketball Court, Tennis Courts, Baseball/Softball Fields, Botanical Garden, Horseshoe Pits, Picnic Shelters, Playground • Thomas Park, 1601 N. Ninth – Camping, Dump Station, Electricity, Disc Golf, Picnic Shelters, Playground Salina is home to pro and semi-pro sports teams, including: Salina Liberty Indoor Arena Football (Feb-May); Salina Sirens Roller Derby (Mar-Aug); Salina Saints WBCL Basketball-TBD; XWE Pro Wrestling. Beyond their primary reason for travel – perhaps an event, a meeting, or to see family – the #1 activity of a visitor is usually eating, followed closely by SHOPPING! There are many opportunities to do just that while you visit Salina. Quaint little specialty shops can be found across the community, featuring everything from clothing and décor boutiques, to sports apparel and equipment or shoes. In our historic Salina Downtown, a collection of quirky local shops of jewelry, gifts, antiques, pottery, home decor and clothing beckon the shopper in YOU! Downtown is also an arts and entertainment center of the community, with theatres, art center, museum, public art, library, sports fieldhouse and special events throughout the year. Watch for signs of downtown revitalization featuring new streetscape, all suites hotel, restaurants, family entertainment center and classic car museum!” (see map pgs 22-25) Salina Downtown, Inc., 120 W. Ash, 785-825-0535, salinadowntown.com National favorites like The Buckle, Old Navy, Ross and JC Penney are among the opportunities for retail therapy at Central Mall! Grab a quick bite, and a movie at 10-plex cinema. A play area and an aquarium of Kansas fishes provide family fun as well. 2259 S. Ninth St., 785-825-4305, centralmallsalina.com Hundreds of shopping experiences await in Salina. To search for specific retail stores or learn more, see the advertising section of this guide or contact the Salina Area Chamber of Commerce, 120 W. Ash, 785-827-9301, SalinaKansas.org (Business Directory) Download our FREE Salina Chamber App! The Best Events Come Here! Bill Burke Sports Complex 1501 E. Crawford St. P2 Centennial Park 746 Commanche Ave. P3 Dean Evans Stadium 841 Markley Rd. P4 East Crawford Complex 841 Markley Rd. P5 Indian Rock Park 1500 E. Gypsum Ave. P6 Jerry Ivey Park 2465 Edwards St. P7 Kenwood Park 821 Kenwood Dr. P8 Lakewood Park 1323 E. Iron Ave. P9 Oakdale Park 730 Oakdale Dr. P10 Salina Soccer Complex 2100 E. Magnolia Rd. P11 Sunset Park 700 W. Sunset Dr. P12 Thomas Park 1601 N. Ninth St.
SculptureTour Salina Santa Fe/Iron Aves. 100 Block S. Santa Fe Ave.
Salina’s hospitality community is ready to welcome you ‘home’! This amenities grid will be helpful as you consider which of the many options for accommodations best fits you! Don’t visit Kansas without taking advantage of our adventures in Agri-Tourism. North of Salina near Bennington, Prairie Lavender Farm is committed to producing select handmade lavender products. Enjoy their Lavender Harvest Festival each June. 69 Alpine Ridge Lane, 785-488-3371, prairielavenderfarm.com Just off I-70 at Exit 252, be sure to stop at Yesteryear Museum to learn about our agricultural heritage through events and exhibits. 1100 W. Diamond Dr., 785-825-8473, yesteryearmuseum.com Enjoy fresh farm veggies, meats, flowers, fruits and more, at our Farmers Markets (late spring into early fall): Fridays	������������������������������������ Downtown Farmers Market…4:00-7:00 pm, 321 N. Ninth Saturdays	�������������������������������� Salina Farmers Market…7:30-11:00am, 460 S. Ohio, Waters True Value Get down to work at C&W Ranch, south of Salina. This could be your chance for a real ranch experience. This family ranch operation also doubles as a B&B Inn, hunting lodge and event venue. 4000 S. Halstead Rd., Smolan, KS, 785-668-2352, cwranch.com The Land Institute has worked more than 30 years addressing sustainability issues of agriculture. LIFE magazine named founder Wes Jackson as likely to be among “100 of the most important Americans of the 20th century.” Prairie Festival is held each September. 2440 E. Water Well Rd., 785-823-5376, landinstitute.org Ag-centered events are part of Salina’s perennial calendar. At the Tony’s Pizza Events Center in March, the Chamber presents the Mid-America Farm Expo – 785-8279301, salinakansas.org – the largest spring ag show in the Midwest. Saline County Livestock and Expo Center is the home of the summer Tri Rivers Fair and Rodeo, and several livestock shows each year. 900 Greeley Ave., 785-826-6531, saline.org/ExpoCenter. Find your story at your library. 301 W. Elm • (785) 825-4624 • www.salinapubliclibrary.org Hours: Mon.-Thurs. 9 a.m-9 p.m.; Fri-Sat. 9 a.m.-6 p.m.; Sun. 1-6 p.m.
Salina has a strong military history, perhaps most notably due to the Schilling Air Force Base, operational from WWII through the mid-1960s. Schilling AFB served as a Strategic Air Command (SAC) base and was closed in 1965. Salina has again emerged as a ‘military town’. The Great Plains Joint Training Center affords both military and civilian organizations an unprecedented opportunity to function jointly using real world technology to train and respond to missions both here and abroad. The center includes the Smoky Hill Weapons Range, Kansas Training Center and ‘Crisis City’ - and provides training facilities to all emergency response and support agencies, whether in one of its classrooms or on any of the training venues. Crisis City is a multi-use, fully functional training complex for local, state and federal responders. St. John’s Military School is also based is Salina, and has provided education for Cadets middle through high school for more than 125 years. Go Muleskinners! Salinans proudly support service members and families. The Salina Military Affairs Council hosts many events in the community, so be sure to keep up with announcements, “Like” Salina Military Affairs Council on Facebook. Dining Burger Theory. . . . . . . . . . . . . . . . . . . . . . . . . . . . . . . . . . . . Corkieâ&#x20AC;&#x2122;s Diner. . . . . . . . . . . . . . . . . . . . . . . . . . . . . . . . . . . . Cozy Inn . . . . . . . . . . . . . . . . . . . . . . . . . . . . . . . . . . . . . . . . The Scheme . . . . . . . . . . . . . . . . . . . . . . . . . . . . . . . . . . . . .
Services Consolidated Printing/Express Print & Signs . . . . . . . . . . . Met Life. . . . . . . . . . . . . . . . . . . . . . . . . . . . . . . . . . . . . . . . . Peaceful Body Wellness Retreat . . . . . . . . . . . . . . . . . . . . . . Rev Group. . . . . . . . . . . . . . . . . . . . . . . . . . . . . . . . . . . . . . . Salina Public Library. . . . . . . . . . . . . . . . . . . . . . . . . . . . . . United, operated by SkyWest Airlines. . . . . . . . . . . . . . . . . Soggy Dog Salon & Suites . . . . . . . . . . . . . . . . . . . . . . . . . . Saint Francis Community Services . . . . . . . . . . . . . . . . . . .
123 N. 7th • Salina KS 785-823-5125 OPEN Thurs, Fri., Sat. 4:30 to close • Lunch: Thurs. & Fri. 11 a.m. to 1:30 p.m.
Swedish, Deep Tissue, Hot Stone, Reflexology, Pregnancy, Myofacial Release & Reiki. Near the geographic center of the U.S. – 1,490 miles from New York, NY and 1,490 from Los Angeles, CA One of the Kansas locations for the 1956 classic movie “Picnic.” Home of impressive architectural design by Salina native Charles Shaver, one of the first architects in Kansas, still evident throughout the community. The launch and return site and Mission Control for the first non-stop, non-refueled, solo flight around the world by pilot Steve Fossett in the Virgin Atlantic Global Flyer in March 2005. Download the Salina Chamber App today! With hundreds of things to do and places to visit, the FREE Salina Chamber App is a mobile guide that gives you the freedom to create your own path through the city, right from your phone! As a leader in vehicle manufacturing, and one of the top employers in the community, REV Bus Salina is about making lives better. OUR VEHICLES CONNECT AND PROTECT P E O P L E A R O U N D T H E W O R L D E V E R Y D AY. Find another exciting season of music, comedy, and drama on our stages. You Have A Voice, You Have A Choice. Salina Surgical Hospital is PROUD to be partially owned by local community involved physicians. Holiday Inn Salina Kansas received the IHG 2017 Torchbearer Award, The Company’s most prestigious award. The Holiday Inn is one of 120 properties within the Americas chosen from IHG system of more than 5,300 hotels for achieving the highest levels of excellence in all aspects of operation–from quality to customer satisfaction. ‘’It is my pleasure to award the Holiday Inn Salina Kansas to one of the foremost hotels in our industry,”said Elie Maalouf, Chief Executive Officer–IHG, The Americas. This hotel embodies the heart of our brand promise and continues our story to make our 12 brands well known and loved by guest around the world.’’ An Impressive 2017 Torchbearer For group quote email: trophy, the company’s symbol for sales.hisalina@lhghotels.com 3145 S 9th St, Salina, KS 67401 top excellence, will be on Phone: (785) 404-6767 permanent display at the hotel. On-Site Burger Theory full service Restaurant and Bar. Mowery Clinic has a proud history of caring for the residents of Salina and Central Kansas since 1934. When you are in need of specialty medical care, choose a Mowery Clinic physician. $29.99 premier single membership $39.99 premier family membership Membership allows full access to all premier locations. 7-day advance tee times. Plus, countless internships and partnerships with local businesses, non-profits, health care centers, schools and churches that enhance learning for KWU students and promote economic growth for the region.